Technical schools (технічні училища; tekhnichni uchylyshcha). Educational establishments founded in 1954 in the Union of Soviet Socialist Republics and the Ukrainian Soviet Socialist Republic. Only students with a complete secondary education were eligible for admission to the schools. The mandate of the technical schools was to train skilled workers in some 600 professions, from all branches of the economy. In 1959–64 they existed within the network of urban and rural vocational-technical schools. In 1966 technical schools were established in large industrial and construction enterprises, state farms, and other organizations. Technical schools had a program of study that varied from one to three years. 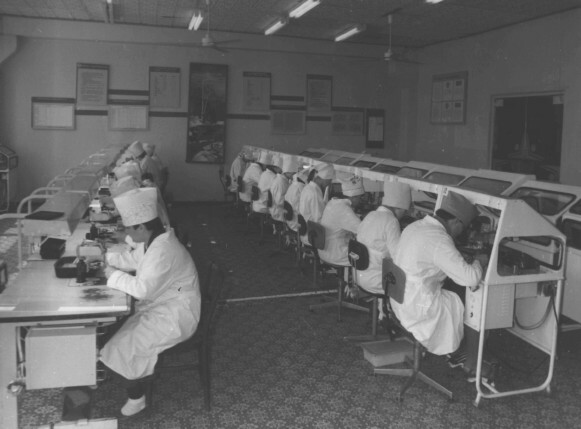 In 1984 there were 242 technical schools in Ukraine, with an enrollment of 146,000.